The Boston Bruins have placed forward Brad Marchand on the injured reserve, making him unavailable to play in tonight’s match against the Canadiens. 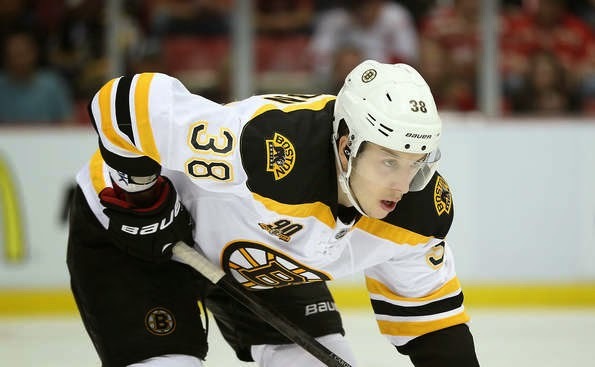 Per NESN’s Nick Goss, the Bruins have recalled forward Matt Lindblad from Providence. Lindblad has six points in 16 games with Providence. His call up could mean a possible injury to Milan Lucic, who took a punch to the jaw from Dalton Proust in last night’s game against the Columbus Blue Jackets. Until confirmed, this injury is speculative. In addition, Mark Divver has pointed out that forward Jordan Caron has been called up as well. Caron has had quite the season after clearing waivers and being sent down to Providence in October. He has 5 goals and 9 points in nine games. Caron's earned it. He came down and worked hard with a smile on his face. Has 5 goals and 9 points in 9 games. Has hit a half-dozen posts. Zach Trotman being sent back down alludes to the fact that all six defensemen who aren’t out with injuries are healthy and able to play. Dougie Hamilton missed practice earlier this week with the flu, and sat out a good chunk of the third period last night, as well as OT.